The Gold Coast Function Centre is the perfect venue for hosting any kind of function for up to 500 guests. The room is spacious and can be configured in any way to accommodate your special event - from sit down dinners and luncheons to cocktail parties and even specialist exhibitions. 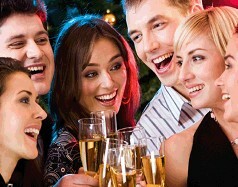 THE GOLD COAST FUNCTION CENTRE & GOLD COAST FUNCTIONS - STRICTLY BYO SAVING YOU MONEY!